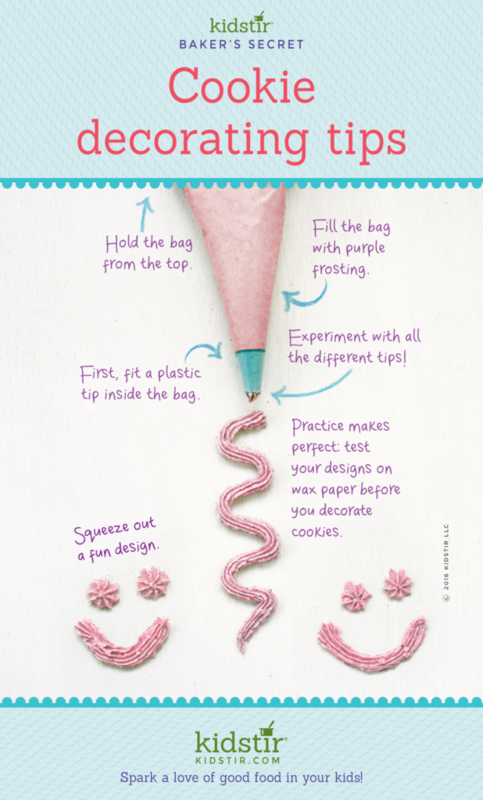 Because this infographic is all about cookie decorating, you’ll first need to bake some cookies and for that you need a great recipe. We’ve got that covered for you with our Cooking Baking with Kids post first thing. And of course you’ll need some recipes, tools and Winter Wonderland Cookies Baking Kit as a great first subscription kit. Experiment with all the differnt tips! First, fit a plastic tip inside the bag. Squeeze out a fun design. 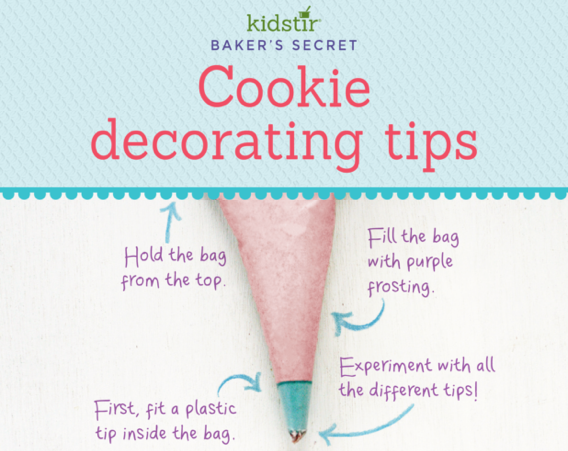 We’d love to offer this Kids Cookie Decorating Tips Infographic for you to share on your blog. Just select and copy the code snippet below and paste into your next blog post. Next post: Make a Snow Globe!